H Toyota ανακοίνωσε το ανανεωμένο Prius είναι πλέον διαθέσιμο στην αγορά της Ευρώπης. Στιλιστικά το ανανεωμένα Prius διαθέτει νέους προφυλακτήρες, νέα φωτιστικά σώματα και νέες ζάντες αλουμινίου 15″. Επιπλέον υπάρχει διαθέσιμο το πακέτο PLUS Performance το οποίο αποτελείται από νέο bodykit 7 μερών με ζάντες αλουμινίου 17″. Στο εσωτερικό οι αλλαγές είναι μικρές και ξεχωρίζει η προσθήκη των JBL ηχείων GreenEdge και νέο σύστημα ψυχαγωγίας. Μηχανικά ο 1.800αρης τετρακύλινδρος κινητήρας σε συνδυασμό με τον ηλεκτροκινητήρα αποδίδει 136 άλογα, με τα 0-100 χλμ/ώρα να τα κάνει σε 10 δευτ. με την τελική ταχύτητα να αγγίζει τα 180 χλμ/ώρα. Το καλοκαίρι του 2012 θα ξεκινήσουν τις πωλήσεις του και τα Prius + και Prius Plug-in Hybrid. Περισσότερες λεπτομέρειες μπορείς να βρεις στο δελτίο τύπου που ακολουθεί. 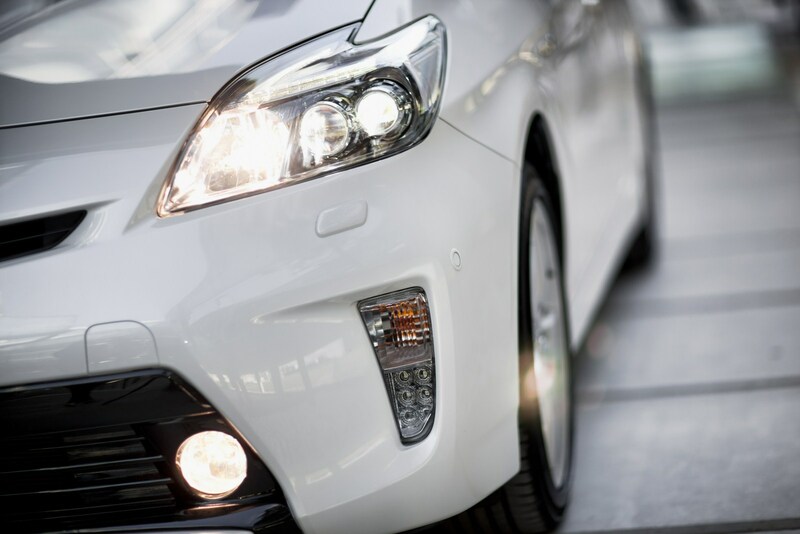 While Toyota continues to roll out its full hybrid technology to new market segments through models such as the Auris Hybrid and Yaris Hybrid, the Prius remains the most recognizable product to feature Toyota’s full hybrid powertrain design. The new Prius features a revised exterior design, improved interior sensorial quality, enhanced instrumentation and a range of affordable multimedia and advanced navigation systems: Toyota Touch, Toyota Touch & Go Plus and Toyota Touch Pro. 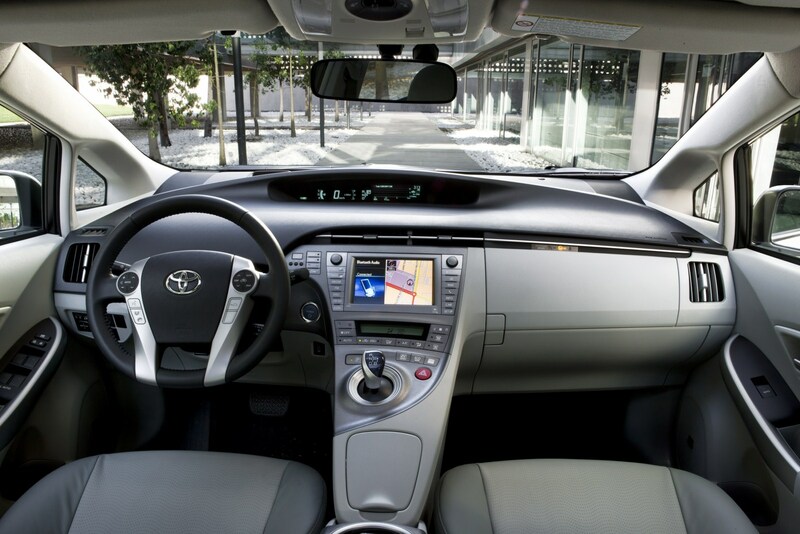 The Prius remains a front-runner in the field of technological innovation. Each generation has introduced new, high technology features to the segment ahead of their time. The third generation Prius, launched in 2009, showcases a Head-up Display, projecting useful information onto the base of the windscreen, including vehicle speed, the Eco Drive Monitor and the status of the optional Pre-Crash Safety and Active Cruise Control systems. A steering-wheel mounted Touch Tracer display switch allows the driver to control the audio system, the air-conditioning and the ECO Drive Monitor without the need to look down, or remove his or her hands from the wheel. A Pre-Crash Safety system, which incorporates Adaptive Cruise Control, uses sensors located under the front grille to predict possible collisions and triggers a series of intelligent safety features. The system will automatically pre-tension seatbelts, activate an audible, Brake Assist alarm and, if a collision is unavoidable, activate automatic braking. This lessens the potential impact and damage if a collision occurs. 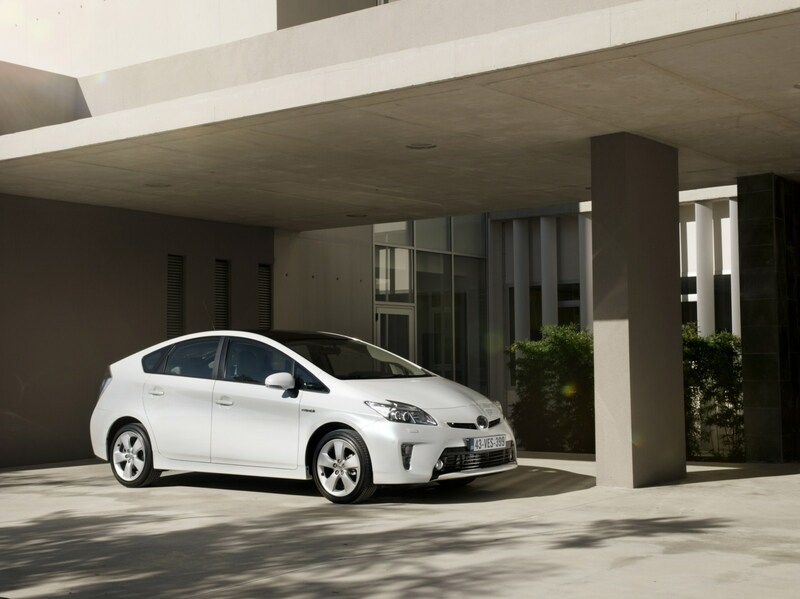 Intelligent Parking Assist enables the Prius to automatically manoeuvre into the chosen parking spot. Using ultrasonic sensors and a rear view camera, the system calculates the steering movements needed to reverse into a parking space. The driver has only to control the vehicle speed. 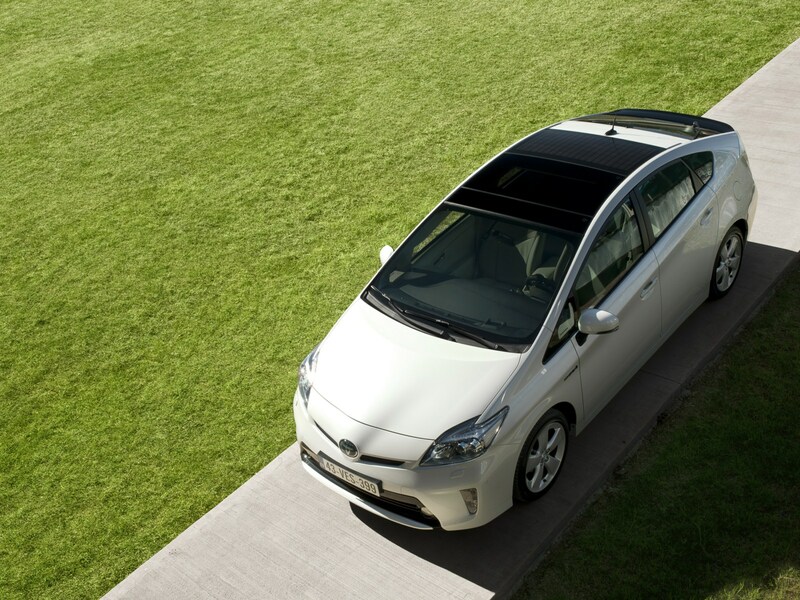 The third generation Prius also introduces the world-first combination of a solar ventilation system and remote controlled air conditioning. 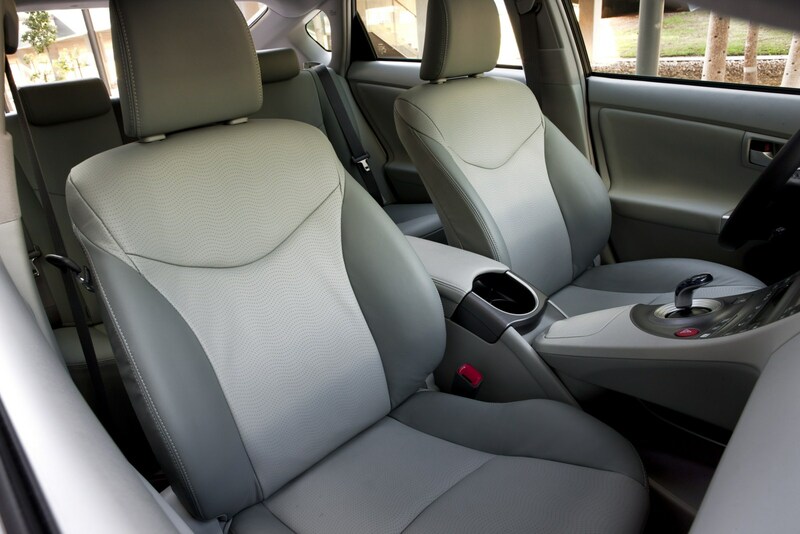 The former prevents the interior air temperature from rising when the Prius is parked whilst, in conjunction, the air conditioning may be activated remotely, using the large capacity hybrid battery to cool the interior for up to three minutes before occupancy. Only 2 years after its launch, nearly 100,000 third generation Prius have been sold in Europe. And it continues to appeal to customers choosing Toyota for the first time. During the first half of 2011, 50% of European Prius sales were to customers coming to the Toyota brand from one of our competitors1. 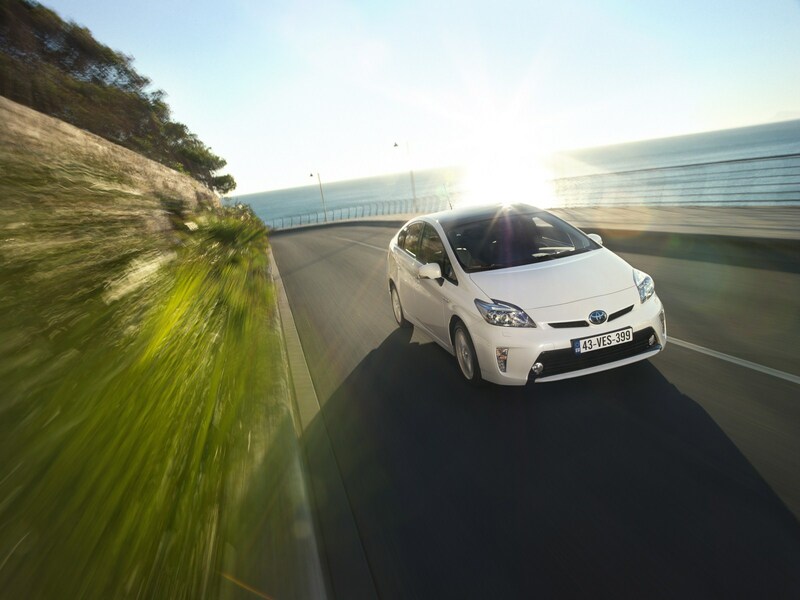 The new Prius, presented at the 2011 Frankfurt Motor Show, features a new, more dynamic frontal treatment. The revised, Under Priority front bumper design places the emphasis on an enlarged lower grille, in keeping with the new face of the next generation Toyota family. 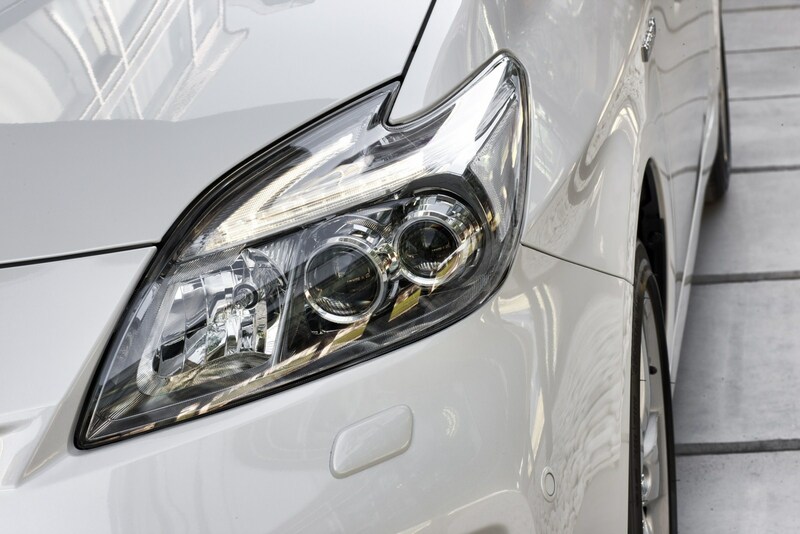 A new, clear lens headlamp design features a revised LED lamp configuration, and daytime running lights have been incorporated in the bumper. The door mirrors, which include redesigned indicator lamps, now have a power-folding function and the rear combination lamps have been redesigned to make the car instantly recognisable in the dark. The optional solar roof can be now ordered with a choice of a new 15” wheel design or the existing 17” alloys. 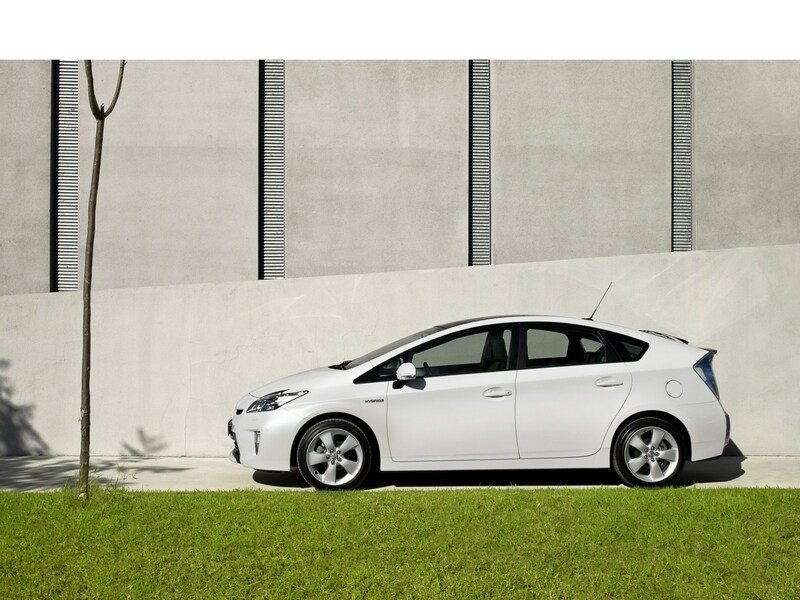 The new Prius will be available in a range of 8 exterior colours, of which two, Bordeaux and Dark Blue, are new. On board, the sensorial quality of the Prius interior has been raised through the availability of a new, black interior, the addition of silver inserts to the air vents and centre console, a hybrid-blue push start button and the availability of new, high grade seat upholstery. 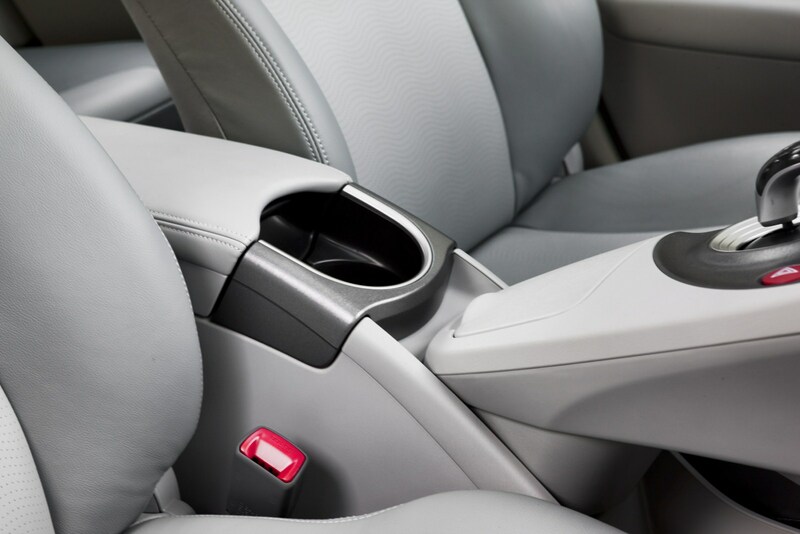 The centre console includes a newly designed arm rest which opens vertically and has an integrated open-type cup holder finished with a silver ring. Inside the arm rest, the USB and AUX connections are now located at the front of the storage space. The multi-information display has been improved with a 16 gradation-step Vacuum Fluorescent Display (VFD), which gives a clearer and more three-dimensional display. Driving support functions now include an EV indicator lamp and two new functions: Monthly Fuel Consumption Record shows the average fuel consumption of both the current and 5 previous months. Eco Savings allows the user to set a target fuel consumption (e.g. that of his previous car) and current fuel price. When the actual fuel consumption is lower than the preset target value, the meter displays the amount of money the user has saved during the month. The new Prius’ Intelligent Parking Assist system has been improved to allow even more efficient and faster parking manoeuvres. It is now able to recognize parking spaces even when there are no parking bay lines. In addition, monitor displays and voice navigation will guide the driver to the necessary starting point for the system to be activated when space sufficient for parking is detected. The new Prius offers customers a unique range of multimedia equipment choices. Fitted as standard, Toyota Touch, a 6.1 inch, full colour, touch-screen interface, represents a new approach to convenient, affordable, on-board multimedia systems. It includes a CD/MP3 player, Bluetooth mobile phone connectivity with streaming facility, a USB port, the facility to display iPod album cover art, a rear view camera, access to vehicle settings2 and an Energy Flow monitor. Toyota Touch & Go Plus builds on the Toyota Touch multimedia unit by adding numerous new, advanced technology features to Toyota’s remarkable touch-screen multimedia system. Equipped with 11 speakers, it features advanced voice recognition for navigation address input, one-shot destination entry, music search and play, and phone contact search and call. It also incorporates email send and receive, a text-to-speech message readout facility, a calendar and, through a Gracenote database, a ‘Play More Like This’ music function. Enhanced satellite navigation mapping incorporates 3D city modeling and landmarks, and an additional Traffic Patterns database showing the average speed on road segments en route depending on time, day and month. The system includes 3 years free map and software updating. Toyota Touch Pro is the most sophisticated satellite navigation system yet offered by Toyota. This premium quality multimedia system features a high-resolution 7.0 inch touch-screen interface with a ‘home’ screen, displaying the most relevant air-conditioning, audio and navigation information. With a choice of 20 menu and guidance languages, the system covers the whole of Europe. It offers a comprehensive range of advanced features including voice recognition, automatic map zoom at intersections, 3D city model and landmark graphics, an on-line Points of Interest search facility and the projection of supplementary driver’s navigational guidance in the head-up display. The system also provides access to SMS messages and emails, and includes a ‘text-to-speech’ message readout facility. A rear camera with dynamic guidance lines to help manoeuvring in confined spaces is fitted as standard. Toyota Touch Pro also incorporates DAB/DAB+/DMB digital radio as standard, making it compatible with a new advanced Transport Protocol Export Group (TPEG) traffic information service3. Based on a digital communication channel, TPEG represents a significant improvement over existing, RDS-TMC analogue systems because it can carry far more information4. Not only will its pin-point accuracy enable better navigation routing, but it will also supplement a basic traffic event and flow service with information on parking availability and fuel prices, adding additional information including speed limits and weather thereafter. 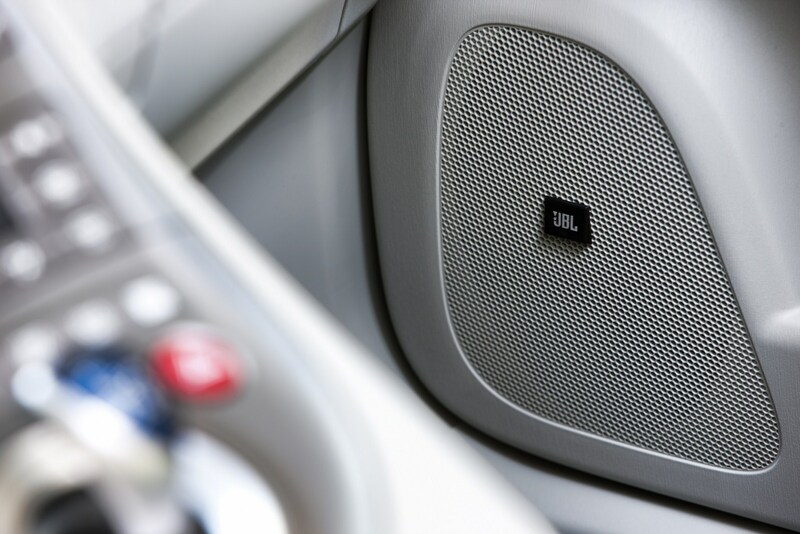 Each of the new multimedia systems can be combined with a JBL Premium Sound System featuring GreenEdge technology (standard on Toyota Touch Pro) which helps to maximize energy efficiency by reducing operational power requirements by up to 80% of those of a conventional on-board audio system. The new Prius benefits from increased body stiffness, thanks to extra welding spots and reinforcements. This has allowed for the suspension to be tuned in a more forgiving manner, without losing dynamic ability. In addition, redesigned bracing has increased steering column rigidity, improving steering feel. Sound proofing has been added to further limit the intrusion of wind and driving noise into the interior. 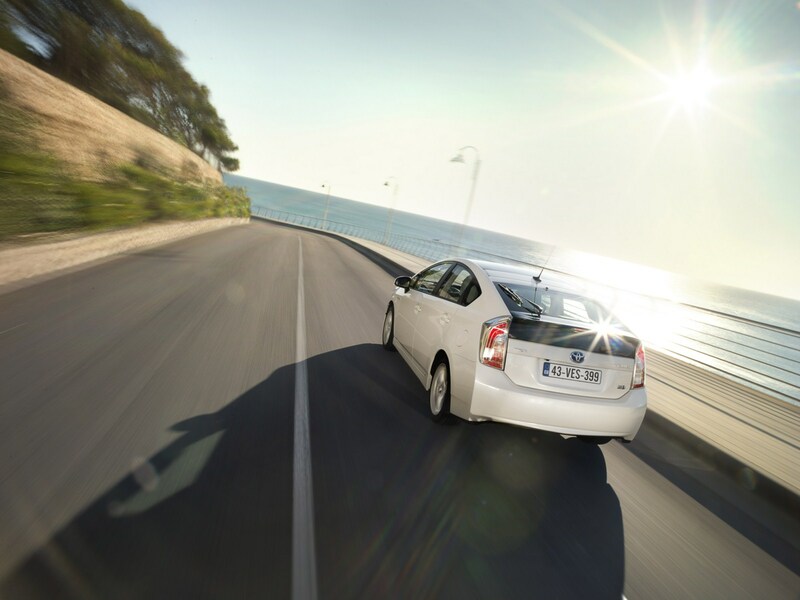 The latest Prius returns 3.9 l/100 km in the combined cycle, and generates CO2 emissions of only 89 g/km. Still the lowest emitting vehicle in its segment. With global sales passing 2.4 million units, the Prius maintains a peerless reputation for reliability, durability and low cost of ownership. 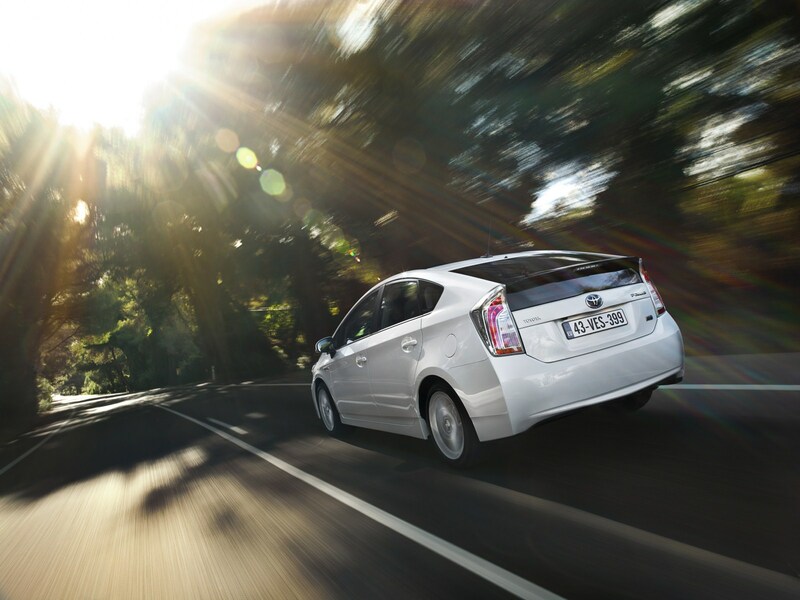 In the 2012 TÜV Report on long-term reliability and vehicle quality (published by Germany’s leading technical inspection association), the Prius continues to show the lowest number of defects, once again ranking No 1 overall this year. In the two- to three-year old category, just 1.9% of the models tested showed any signs of defect (down from 2.2% last year). 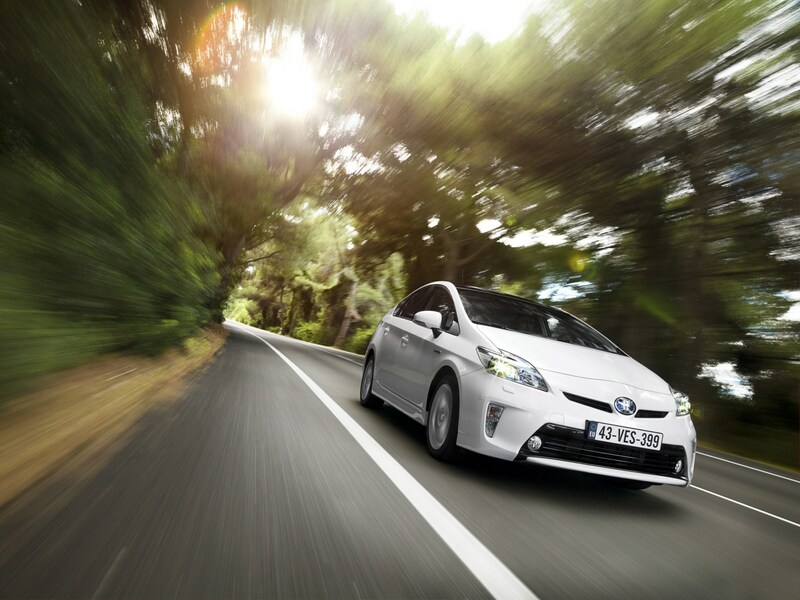 An important facet of the Toyota full hybrid vehicle market expansion, the new Prius 2012 will now become the first full hybrid vehicle available as a complete stand-alone model range – Prius, Prius+ and Prius Plug-in Hybrid. The three models will significantly expand the Prius customer base and subsequent sales: the Prius+ targeting growing European families who require the space and flexibility of a larger, seven-seat vehicle, the Prius Plug-in Hybrid appealing to a new group of environmentally conscientious early adopters thanks to its extended EV range of 23 km. 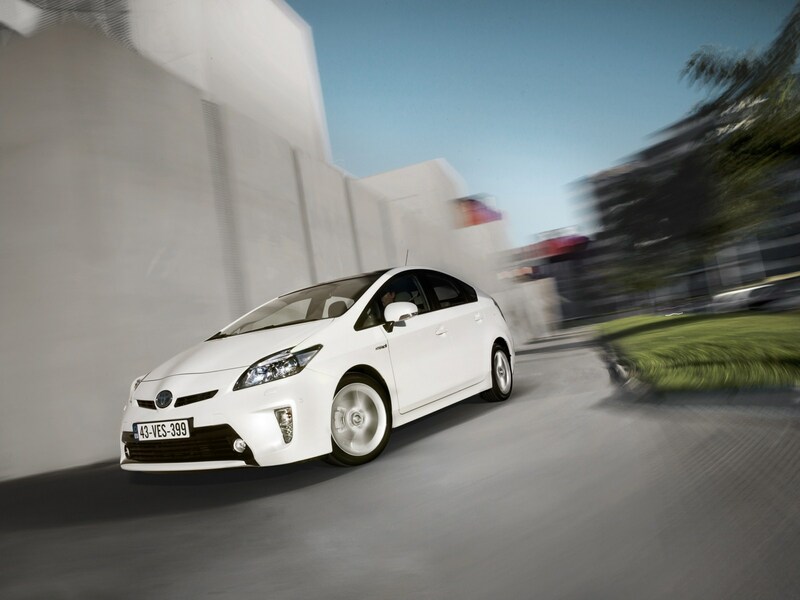 Prius+ and Prius Plug-in Hybrid both go on sale throughout Europe in the summer of 2012.